The last Thursday of every month is our very own Grill-Steak Night! You will be able to taste succulent fillet steaks, mixed grills or fresh tiger prawn and monkfish brochette, as well as other delicious options. View the sample menu below. 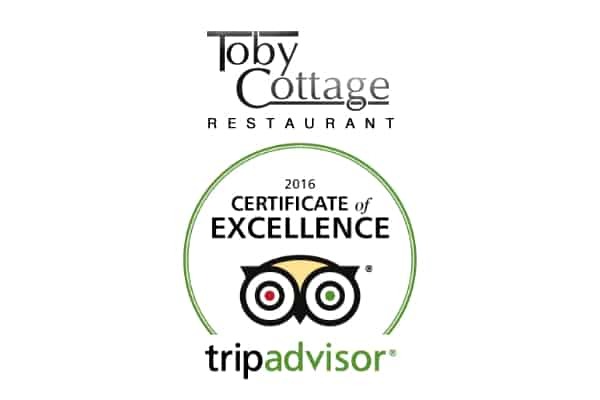 Toby Cottage is more than happy to announce that we are yet again an award winning restaurant after receiving the Certificate of Excellence for the fourth time! In 1930 the ‘Thorpe Park estate’ was demolished and the site became a gravel pit with nothing else on it, but in the 1970’s the ‘Thorpe Park’ that we know today started to be built. Then in 1970 the park reopened but as a small attraction and educational theme park. Slowly but surely the rides built up and became well known for many reasons. Their range of rides are perfect for a wonderful day out with the family – no matter the age. After you have finished and the adrenaline has died down be sure to visit us for a delicious meal. Call our team on 01483 224 225 to book your table. 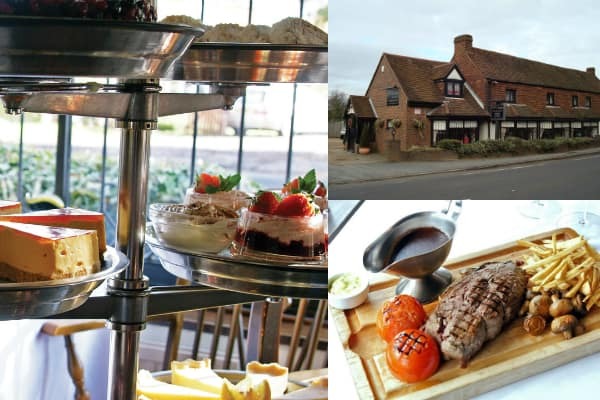 Toby Cottage has been selected for the Diners’ Choice Award! 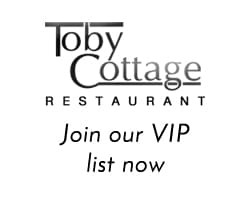 We are happy to announce Toby Cottage is an award winning restaurant in Ripley. 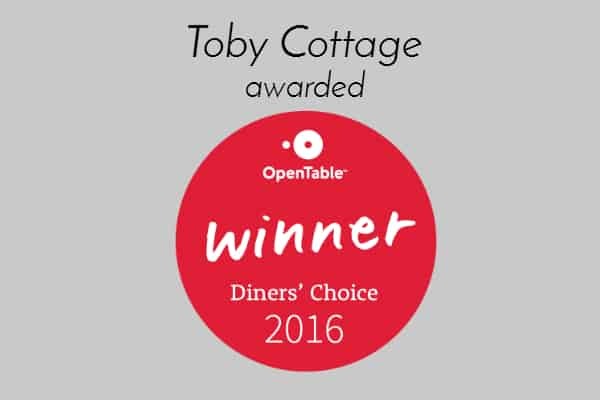 OpenTable have selected Toby Cottage for the 2016 Diners’ Choice award for the second year running. From our extensive array of traditional dishes as well as our own specialities, including our mouthwatering desserts trolley, our customers have been thoroughly impressed. We couldn’t be happier with this award as it shows that all our hard work and attention to detail pays off with our delicious food, our homely restaurant and our attentive service. Toby Cottage would like to say a big thank you to both OpenTable and also everyone who has dined with us in the past year and has enjoyed their experience. Tony and Toni cannot believe that it has already been 10 years since they took over The Toby Cottage. Over the years they have met some fantastic people as well as shared some superb moments with their customers. They would like to take this opportunity to say a huge thank you to everyone who has supported them both on the journey. In celebration we are holding a wide range of events and offers for everyone to enjoy. *1 glass per customer, valid June 1st until June 30th, over 18’s only. Book your table and celebrate with us on 01483 224 225. 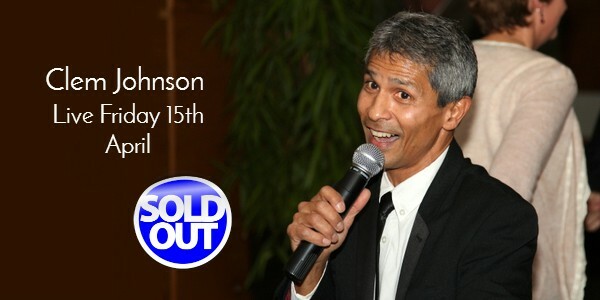 We are delighted to announce that Clem Johnson is now sold out, we do however have a waiting list so if you would still like the chance to join us on Friday, April 15th then call us on 01483 224 225. Clem Johnson has been in the music industry all his life. He was first introduced to the stage at an early age performing at venues throughout the country with his long term friend and music partner. Join us on Friday, 15th April for a superb evening full of live entertainment and mouthwatering food. Tickets cost just £49.50 which includes entry, entertainment all night and a 3 course meal. Tickets for these events sell out extremely quickly so make sure you call us now on 01483 224 225.